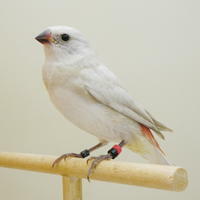 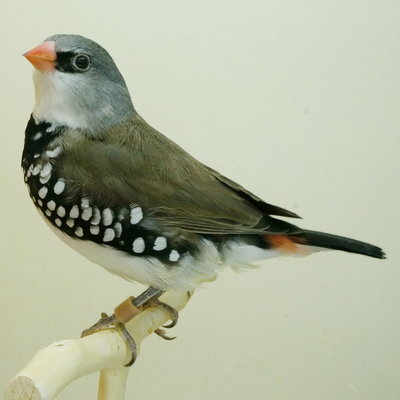 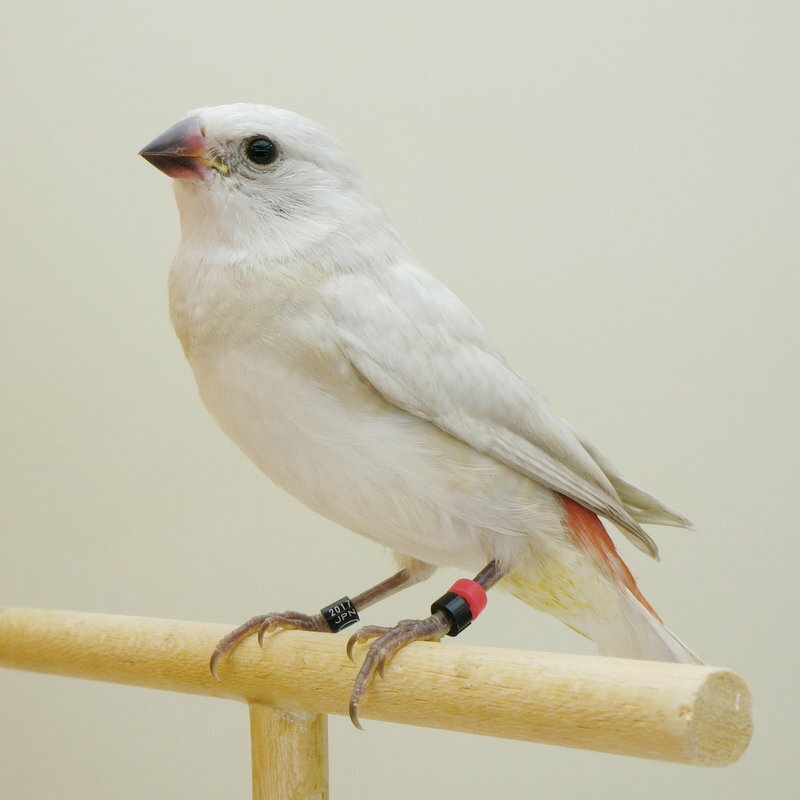 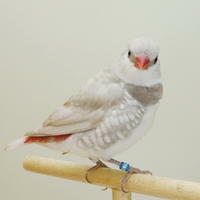 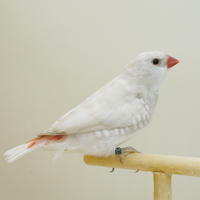 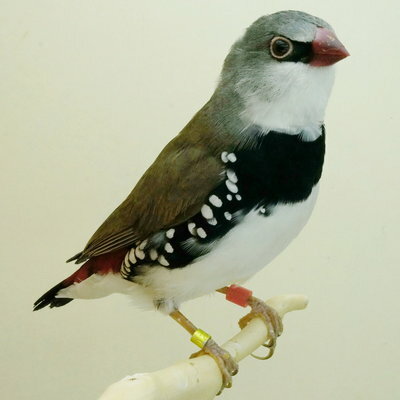 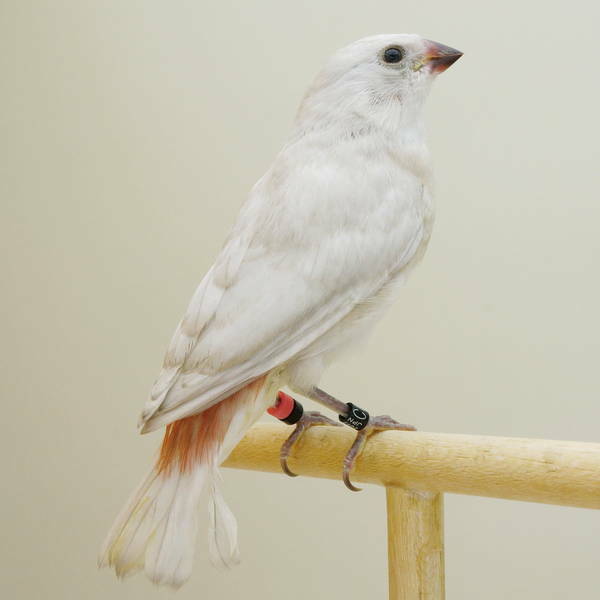 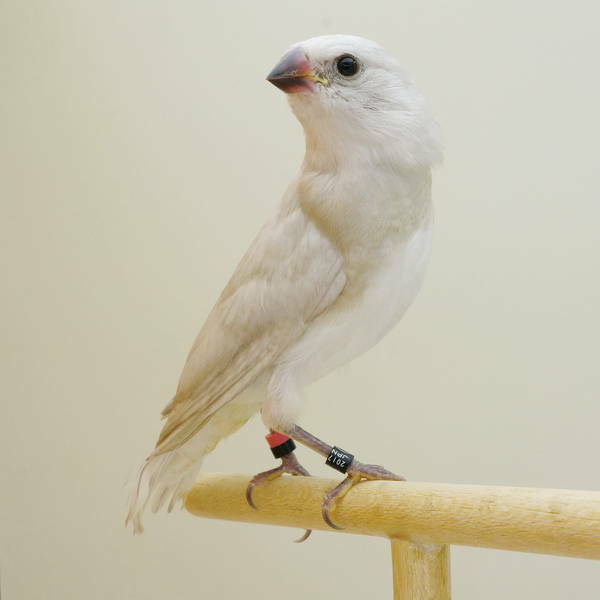 Diamond Firetail Finch ダイヤモンドフィンチ - - "Silver"
"best described as a dilute. 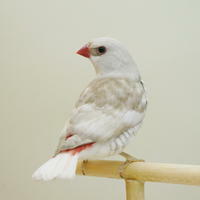 the entire colours are paler and in sunlight the bird has a 'silver' sheen". 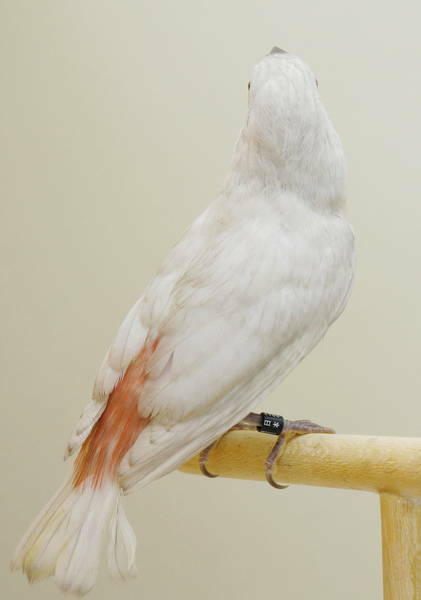 This appears to be the same mutation as Europe's "Pastel" mutation.